The latest Pixar Animation flick did strong opening weekend box office. "Brave" drew big audiences, netting $66.7 in its opening weekend. A new Disney princess has ascended to the box-office throne with a No. 1 debut for Pixar Animation's "Brave." The latest from the makers of "WALL-E," ''Finding Nemo" and the "Toy Story" movies opened with $66.7 million domestically, according to studio estimates Sunday. "Brave" added $13.5 million in 10 overseas markets for a worldwide start of $80.2 million. Featuring a feisty Scottish princess, "Brave" was the first of Disney's Pixar animations with a female protagonist. And it left American hero Abraham Lincoln in the dust. The 20th Century Fox action tale "Abraham Lincoln: Vampire Hunter" opened far back at No. 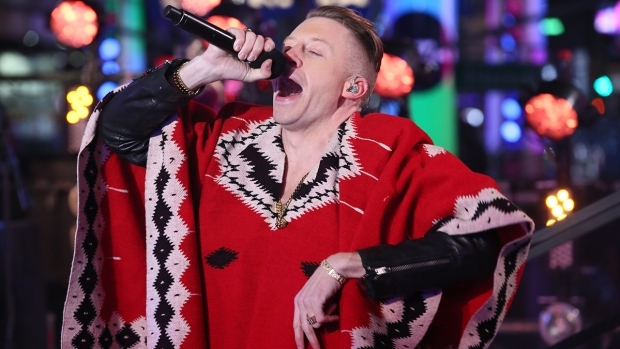 3 with $16.5 million, behind "Madagascar 3: Europe's Most Wanted." DreamWorks Animation's animated "Madagascar" sequel had been No. 1 for two weekends and added $20.2 million to raise its domestic total to $157.6 million. 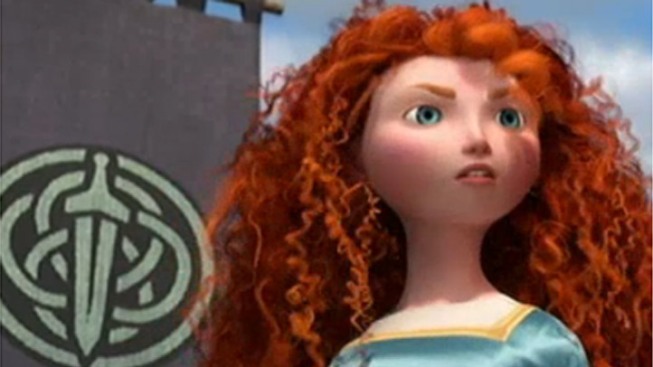 "Brave" is the 13th-straight Pixar release to open at No. 1 since "Toy Story" launched Hollywood's age of computer animation in 1995. "Their track record is just unbelievable," said Paul Dergarabedian, analyst for box-office tracker Hollywood.com. "The Pixar brand just carries so much weight with the audience, it doesn't matter almost what the story is about if it has the Pixar name." The weekend's other new wide release, Steve Carell and Keira Knightley's apocalyptic romance "Seeking a Friend for the End of the World," misfired with just $3.8 million, debuting at No. 10. The Focus Features film, playing in much narrower release than other top-10 movies, stars Carell and Knightley as heartbroken neighbors on a road trip as a killer asteroid hurtles toward Earth. Woody Allen's Italian romance "To Rome with Love" pulled in huge audiences in limited release, debuting with $379,371 in five theaters. That gave the Sony Pictures Classics release a whopping average of $75,874 a theater, compared to $16,028 in 4,164 cinemas for "Brave." "Brave" features a voice cast led by Kelly Macdonald and Emma Thompson in a mother-daughter story of a young Scottish princess defying tradition that requires her to marry against her will. The film proved that audiences will turn up for a female hero, not just the male protagonists of past Pixar flicks, such as Woody and Buzz of "Toy Story," the robot of "WALL-E" or the rat and his chef buddy of "Ratatouille." "Brave" matched the $66.1 million debut of Pixar's "Cars 2," with male automotive lead Lightning McQueen, over the same weekend a year ago. "It is a phenomenal thing, these guys and their mastery of big storytelling and character development, delivering something that plays well to adults as well as kids, to girls as well as boys," Dave Hollis, Disney's head of distribution, said of Pixar. The audience for "Brave" did lean toward females, who accounted for 57 percent of viewers. Two-thirds of the film's business came from families, who also continued to flock to "Madagascar 3," making a rare weekend when two PG-rated movies led the box office. The R-rated "Abraham Lincoln: Vampire Hunter" was a clever idea — the 16th U.S. president waging his own civil war against the blood-suckers of the republic. But critics were unimpressed, and action fans had only a passing interest in the movie, which featured relative unknown Benjamin Walker as Lincoln. Still, it was made for $69 million, a modest budget for a summer action movie, and 20th Century Fox had hopes it would hold up well over the next week or so before "The Amazing Spider-Man" and "The Dark Knight Rises" swoop in to take over cinemas in July. "It's actually a good start for this movie," said Chris Aronson, the studio's head of distribution. "This is an interesting and untested genre that I think audiences are going to continue to seek out. Mash-ups have been done, but the historical mash-up has not been done." Estimated ticket sales were for Friday through Sunday at U.S. and Canadian theaters, according to Hollywood.com. Where available, latest international numbers are also included. Final domestic figures will be released Monday. 1. "Brave," $66.7 million ($13.5 million international). 2. "Madagascar 3: Europe's Most Wanted," $20.2 million ($30.1 million international). 3. "Abraham Lincoln: Vampire Hunter," $16.5 million ($8.1 million international). 4. "Prometheus," $10 million ($12.7 million international). 5. "Snow White & the Huntsman," $8.01 million ($22.6 million international). 6. "Rock of Ages," $8 million ($2.9 million international). 7. "That's My Boy," $7.9 million ($900,000 international). 8. "The Avengers," $7 million ($2.3 million international). 9. "Men in Black 3," $5.6 million ($10.5 million international). 10. "Seeking a Friend for the End of the World," $3.8 million. 1. "Madagascar 3: Europe's Most Wanted," $30.1 million. 2. "Snow White & the Huntsman," $22.6 million. 5. "Men in Black 3," $10.5 million. 6. "Abraham Lincoln: Vampire Hunter," $8.1 million. 7. "Dark Shadows," $6.9 million. 8. "The Dictator," $4.4 million. 9. "Tengo Ganas De Ti," $4.3 million. 10. "Rock of Ages," $2.9 million.